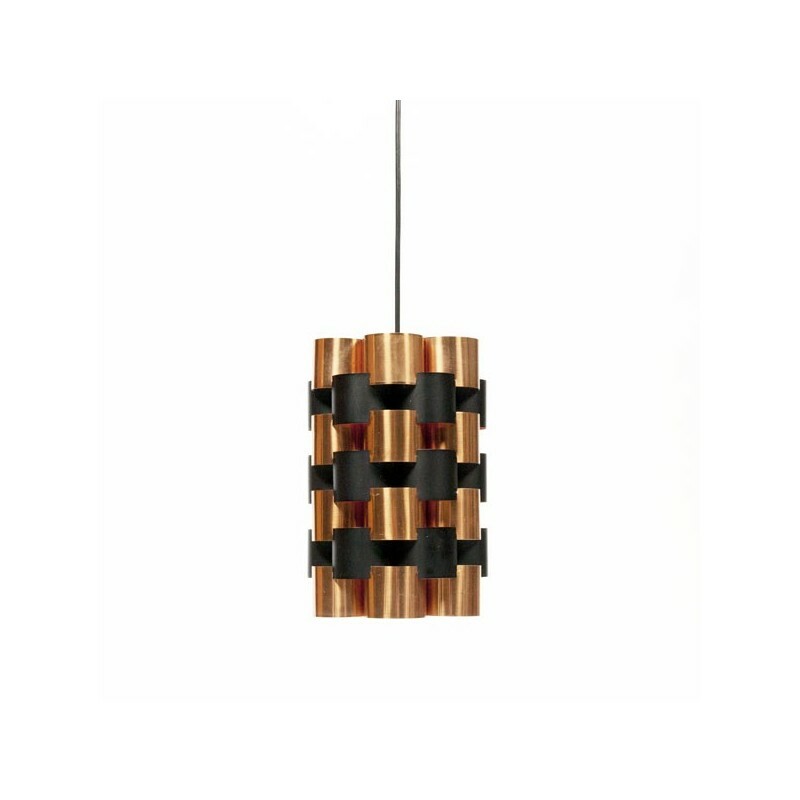 Beautiful Danish design pendant designed by Jo Hammerborg for Morup & Fog in the sixties. 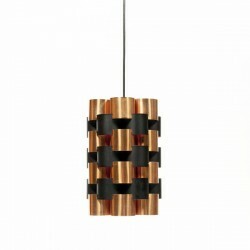 The lamp, made of metal in black and copper, is in a good condition considering the age and fragility of the lamp. The size is 17 cm in diameter and 25 cm high.